Your bedroom should be one of the most visually pleasing and comfortable rooms in your house. After all, this is where you sleep, daydream, enjoy breakfast in bed and so much more. In a perfect world, your bedroom would be the ideal place to retreat and feel completely at ease. If you are not feeling this comfort in your current bedroom, then it may be time for a remodel. If you have wanted to redo your bedroom but you are unsure of what you should do, look at what others have done and see if that would work for you. To aid in your search, we have come up with some of the bedroom remodeling trends that are popular this year. Gone is the designer mindset that everything in your bedroom – or any room in your house for that fact – must be entirely color coordinated. These days what is really chic is combining styles to create a new aesthetic for the room. Of course, you don’t want to go overboard with your mix-up. You still want to tie everything together so that it is pleasing to the eye and welcoming to those who enter. Some examples include taking what you already have and incorporating painted traditional pieces or wood furniture to complete the look, says The Inspired Room. If your bedroom has a more modern look, you might decide to include a few antique pieces into the mix. Try different things and see what works for you. Remember: when you mix and match with style, there are no wrong answers. These days, it has become the “in thing” to utilize every square inch of your home, and creating a multipurpose bedroom is an excellent way to turn it from a simple room to a fully functional and diverse living space. Think of it as designing a more modern and personalized hotel room – a “home within a home,” as Decoist says. Keep your gorgeously fluffy bed but add a sleek and inviting desk, add a couple of beautiful chairs in the corner, and add some classic art to the walls. This is just the tip of the iceberg when it comes to fun ideas for your bedroom. You might even consider adding in some modern conveniences such as a mini fridge, a high-end espresso machine or a full coffee bar, suggests Houzz. This can make your bedroom space the perfect place to hang out. Some people are even incorporating washer and dryers into their bedrooms so that they can do laundry at any time or have that warm shirt ready just in time for bedtime or dewrinkle their outfit before heading off to work. What you add is up to you and what is convenient for your lifestyle. One of the trends that seems to last year to year is the use of calming colors in new bedrooms. It may seem obvious since the bedroom is where we go to rest, but calming colors and warm fabrics can absolutely boost a bedroom’s appearance in addition to creating a more peaceful ambiance. As far as colors go, many are looking toward light purples, soft greens and cream colors as they offer a more serene appearance. The colors should be smooth and blend well to give a cohesive feel. Of course, it is not only what we see, but also what we feel. That’s why soft and comfortable fabrics are a must have. Silks, cottons and other natural fibers are some of the most popular choices for the environmentally conscious and anyone looking to use less synthetic material, says Are Naturals. The idea is to give your bedroom that smooth and peaceful look and feel with materials that an appearance and touch that will have you waking up feeling warm, happy and refreshed. At Reynolds Home Builders, we are the home remodel specialists. 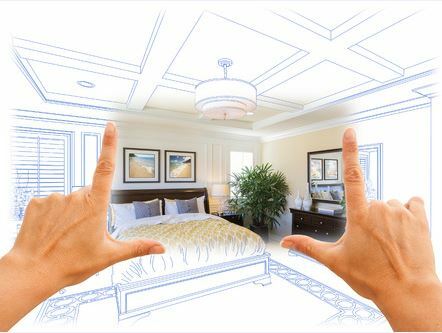 We strive ourselves on being the go-to company for all remodeling projects around the home, from sunroom and bathroom remodels to full custom home builds, and we can offer these same stellar services for your new bedroom. Client satisfaction is our No. 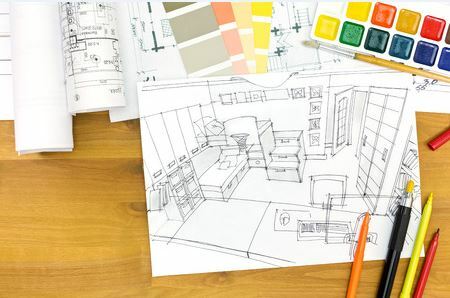 1 goal, and we will work closely with you to design and build a new space that meets your exact needs and your budget. Get started today by giving us a call at 850-508-5076.